Video conferencing offers an embryonic example of the impact of this new generation of consumerised IT, with employees using increasingly sophisticated technology to master the day-to-day processes of business life. And part of this process is communicating and establishing a relationship with the colleagues and peers who are working alongside us. A failure to communicate on this basic level can result in social, workplace and even financial repercussions. business that we’ve seen for generations. The issue now is educating people on how to use this wonderful and incredibly useful technology. One of the greatest challenges is that the human element of the equation isn’t entirely comfortable with it. 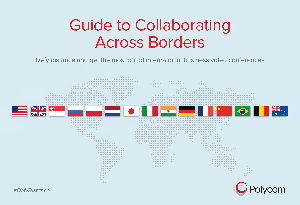 This paper provides country collaboration tips, customer use cases in action and 12 tips on how to get the best out of your video conference, download now to receive your guide.